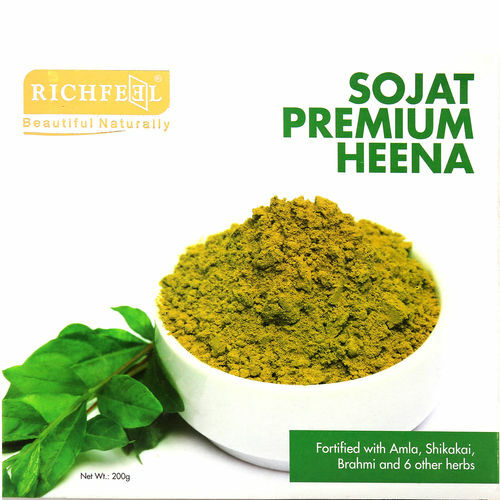 Henna has been used by men and women for centuries to condition hair and give a natural appearance. 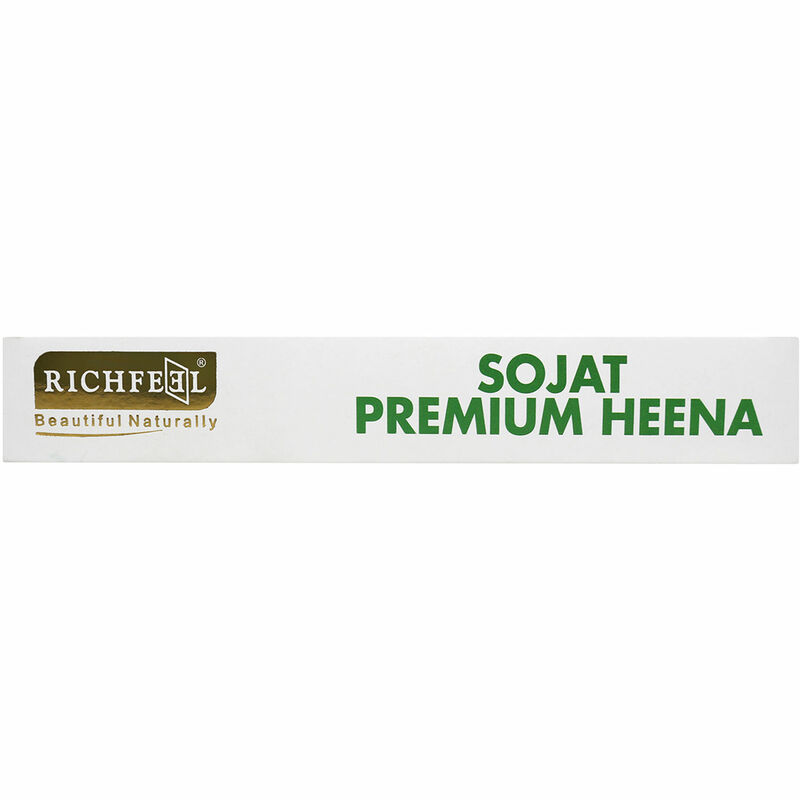 When applied to the hair, our Sojat Premium Henna binds itself to the keratin in the hair and provides a gentle yet long-lasting coating to the cuticle, giving it a natural colour without causing any damage to your hair. 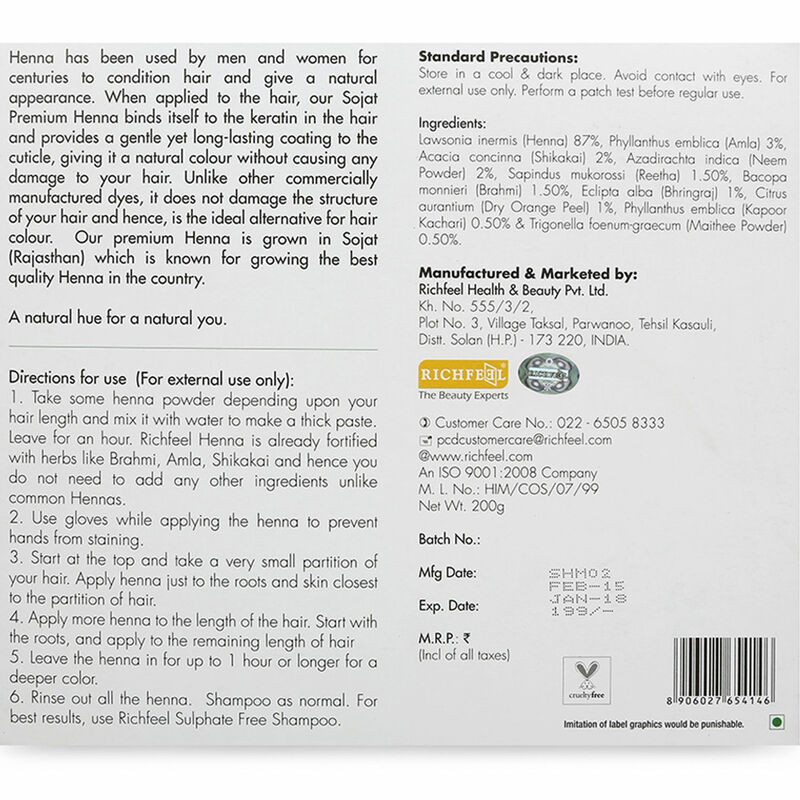 Unlike other commercially manufactured dyes, it does not damage the structure of your hair and hence, is the ideal alternative for hair colour. 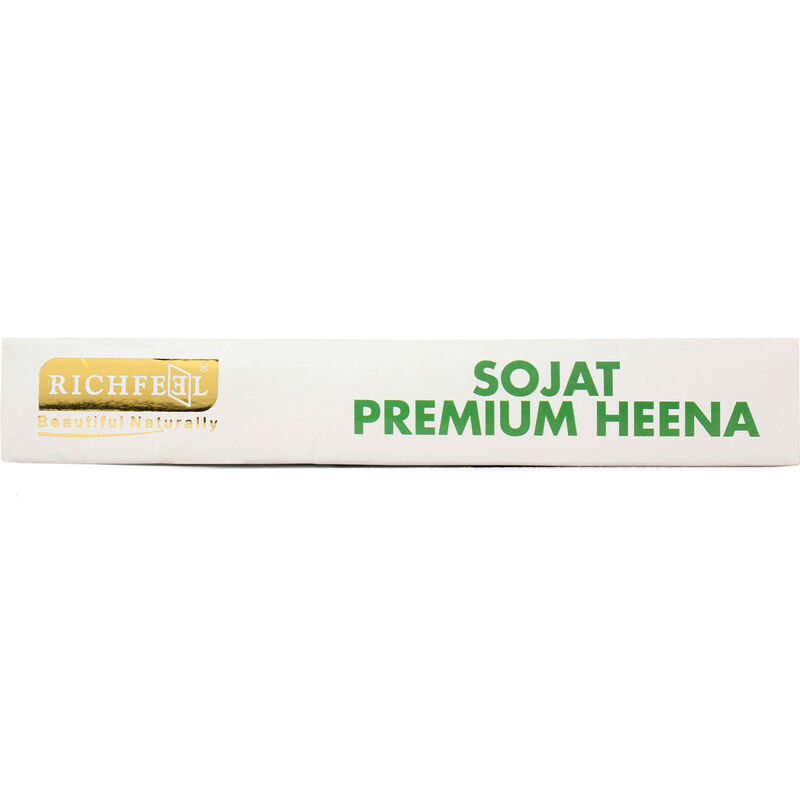 Our premium Henna is grown in Sojat (Rajasthan) which is known for growing the best quality Henna in the country. A natural hue for a natural you. How to Use 1. 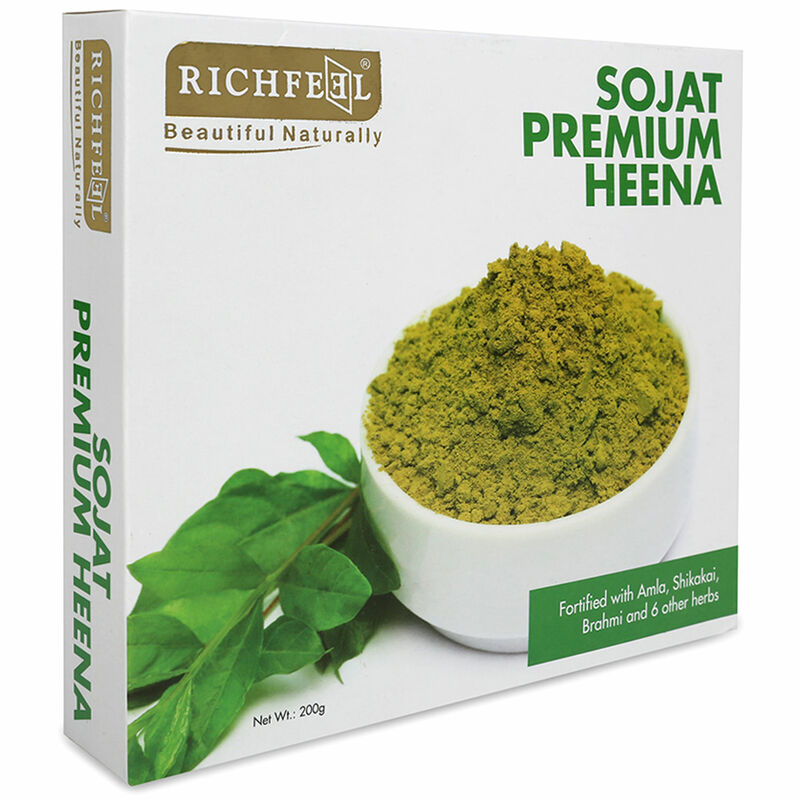 Take some henna powder depending upon your hair length and mix it with water to make a thick paste. Leave for an hour. 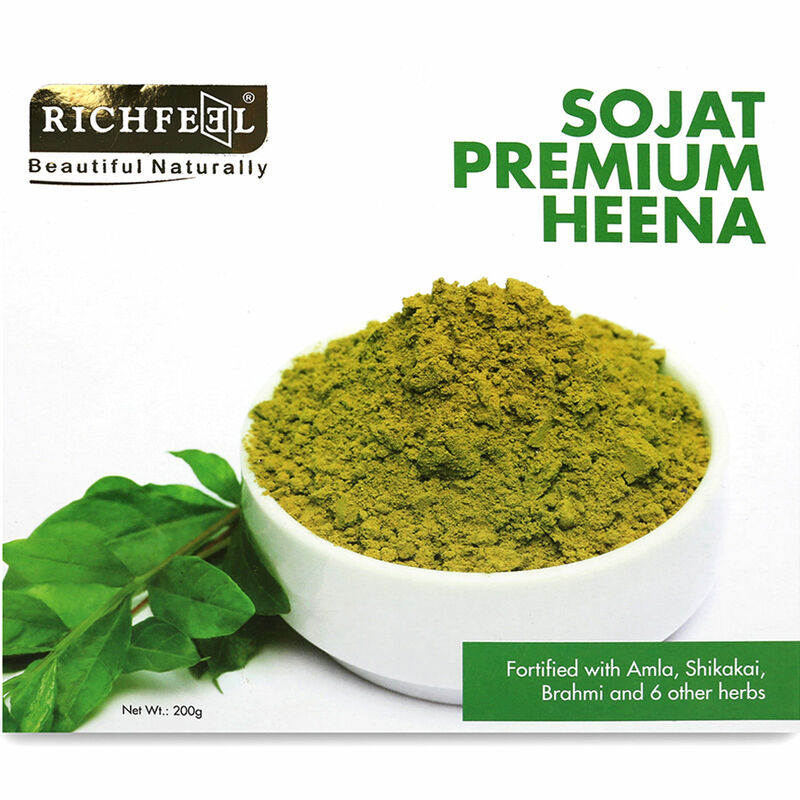 Richfeel Henna is already fortified with herbs like Brahmi, Amla, Shikakai and hence you do not need to add any other ingredients unlike common Hennas. 2. Use gloves while applying the henna to prevent hands from staining. 3. Start at the top and take a very small partition of your hair. Apply henna just to the roots and skin closest to the partition of hair. 4. Apply more henna to the length of the hair. Start with the roots, and apply to the remaining length of hair 5. Leave the henna in for up to 1 hour or longer for a deeper color. 6. Rinse out all the henna. 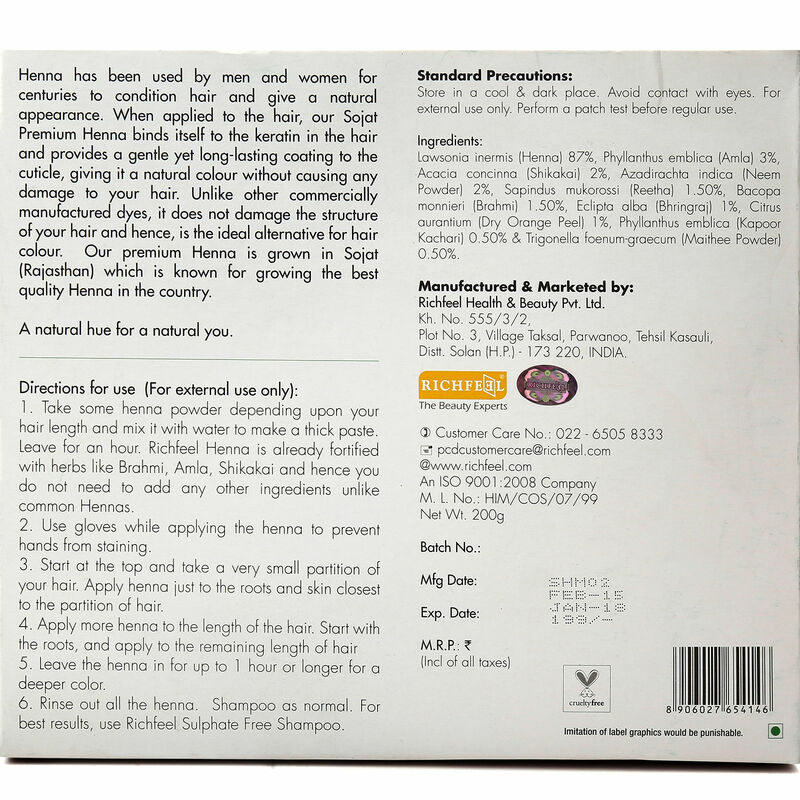 Shampoo as normal. 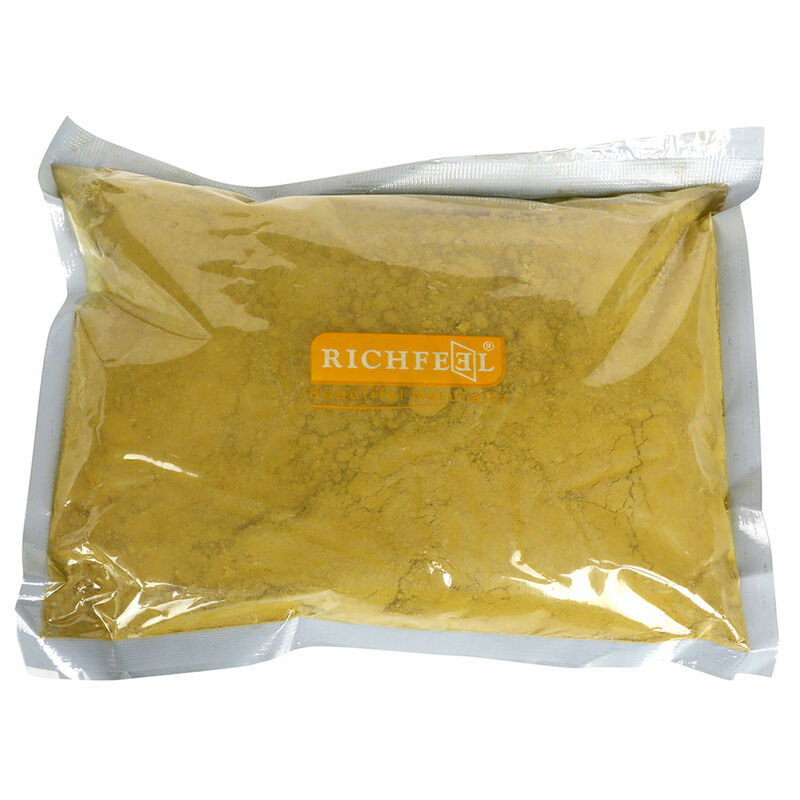 For best results, use Richfeel Sulphate Free Shampoo.